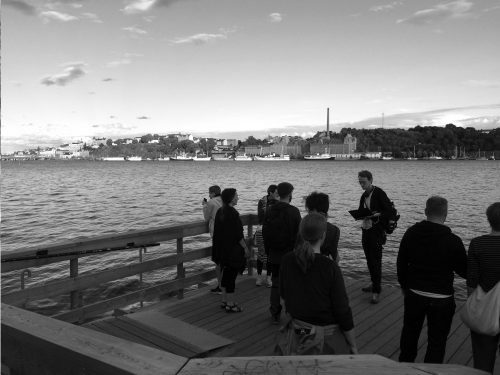 On the 18th of July, the annual World Listening Day, Smolicki facilitated a performative soundwalk in Stockholm. The soundwalk responded to this year’s theme which was “listening to the ground”. As the World Listening Project’s website explains, the inspiration for the theme came from the work of Pauline Oliveros (1932-2016), a sound artist and scholar known for her concept of deep listening.